Seán Haughey concedes his Dublin NC seat, saying his grandather Seán Lemass and father Charlie Haughey would have given him different advice. FIANNA FÁIL’S DUBLIN North Central candidate Seán Haughey has been describing the conflicting advice his family might have given him today, as he concedes his seat. Haughey told RTÉ Radio One that while his grandfather Seán Lemass would have advised showing no emotion and just getting on with things, his father Charlie Haughey would have said “fight, fight and fight back”. I think core FF voters are disappointed with the way things turned out over the last four years, but it is time for renewal and a reinvigoration of the party and I’m sure that will happen in due course. He said the government had taken the right decisions since the emergence of the banking crisis, although it may not have communicated that effectively. Haughey said the damage had really been done much earlier on, and FF should look back as far at ten years to see how it had come to this day. “Mistakes were made. You learn and you move on and you try and gain the trust of the people again with new policies and new vision,” he said. This will be the first time since Charlie Haughey entered the Dáil in 1957 that there won’t be a family member in the Dáil. Email “Charlie Haughey would have said 'fight, fight and fight back', says son ”. 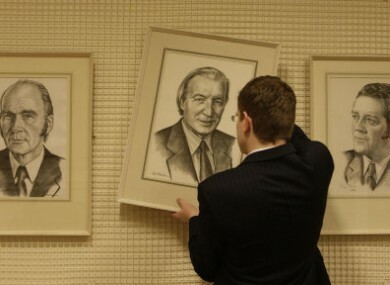 Feedback on “Charlie Haughey would have said 'fight, fight and fight back', says son ”.